One week after the Galaxy S8 and S8+ got their Android Pie update, it’s the Galaxy Note 8’s turn to get a taste of Pie. 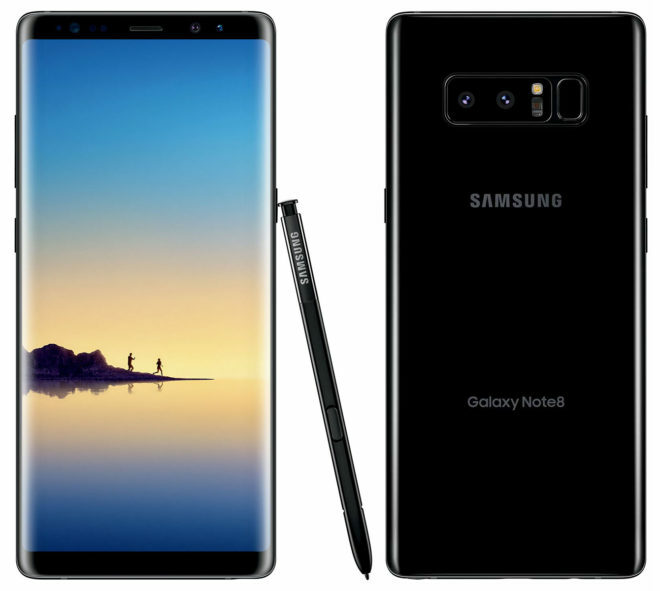 T-Mobile today announced that it’s updating its Galaxy Note 8 to Android 9.0 Pie. T-Mo’s support documents show that the update will be released today, April 5th, and that it’ll be version N950USQU5DSC1. The update is 1709.8MB. Included with the update to Android Pie is Samsung’s new One UI, which brings with its new features like a night mode and tweaked user interface that moves interactive elements closer to the bottom of the screen. This should make one-handed use easier, especially on the Galaxy Note 8 and its 6.3-inch display. Also included in the Galaxy Note 8’s update are “various bug fixes and system improvements”. I haven’t seen any reports of Galaxy Note 8 owners actually receiving this Pie update yet, but if you’ve got a Note 8 you should keep an eye out for it. If you’d like to check for it manually, you can do so by jumping into your Settings app and selecting “Software update” followed by “Download updates manually”. Galaxy Note 8 owners, let us know when your Android Pie update arrives! UPDATE: The Galaxy Note 8’s Android Pie update has officially begun hitting devices, and TmoNews readers Russ and Dorian have already installed it. When a previous update was apparently ready for my phone, I wasn’t able to get it initially, but I was curious to see if the daily limit really did reset at midnight. At 11:59pm, I checked for updates again, and there was still nothing. Then, I checked again at exactly 12:00am local time and suddenly it was available. Yup, floated in while I slept. I got the update April 2. Big improvemnt. Facial recognition 100% better. Recent screen is awesome now. I got the upate this morning, on the Note 8. Great layout! Smoother phone usage. Just got it this morning. So far, I really like the new UI. So, is the LG V30 ever going to see an update from T-Mobile? its ok i don’t like all the blue, makes it look a lot like apple and my messages background i can’t personalize. It broke the standard messaging app – kept asking permission to send a read receipt. I had to install messages for android by google and make it my default app. I downloaded this update this morning. I love the improvements, although I no longer am able to use my phone off WIFI. None of my internet nor data is working Iv tried everything to fix this problem with no luck. Got the update this morning, for an Unlocked Note 8 with an AT&T SIM Card installed. I’ll test it with TMo when I get home.